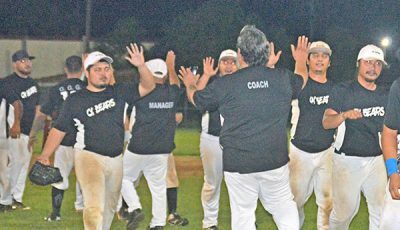 Chalan Kanoa Bears and BSI Aces players are poised to bring home majority of the individual awards in the 2016 Saipan Baseball League, which concluded its regular season last Wednesday night. The Bears’ A.J. Lizama is this year’s batting champion and will add the RBI king title to his collection, while pitcher Jeffrey Lizama is the winner in the ERA race. 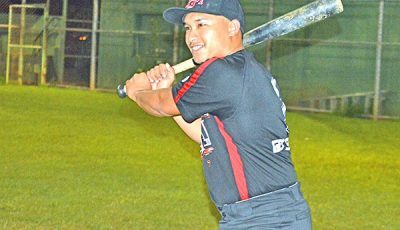 On the BSI Aces’ side, Lamarc Iguel is the co-champion in triples and home runs, while his brother Juan won the runs race, and pitcher Mike Muna ended up at first place in the strikeouts contest. A.J. Lizama posted a batting average of .466 after going 27-for-58 in the Bears’ impressive 14-0 record in the double-round robin elimination. He was one of the only five players who had a batting average of more than .400 this season. The four others were the Brewers’ Anthony Tenorio (.433/29-for-67), the BSI Aces’ Ben Jones (.422/19-for-45), the Brewers’ Pat Alepuyo (.404/23-for-57), and the Yankees’ Franco Nakamura (.404/21-for-52). In the RBIs contests, A.J. Lizama collected 20 to edge the 19 and 15 of the Brewers’ Nokki Saralu and the BSI Aces’ John Tudela, respectively. A.J.’s teammate, Jeffrey foiled the former’s bid for a third individual trophy after ruling the ERA department. Jeffrey had a 0.88 ERA after pitching 30.2 innings and yielding only three runs. A.J. worked the mound for 28.1 innings and gave up four runs for a 1.27 ERA. Others on the Top 10 in the ERA leaderboard were the Aces’ Muna (1.27), the Bears’ Jose Lizama Jr. (1.32), the Brewers’ Vince Camacho (2.00), the Aces’ Mike Iguel (2.23), the Falcons’ Frankie Lieto (2.24), the North Starz’s Ben Lizama (2.55), and Jared Camacho (2.57), and the Brewers’ Leonard Sablan (2.59). Muna may have failed to top the ERA race, but was ahead in the strikeouts category with his 64. He was the runaway winner in the Ks division, as three of his closest pursues—the Falcons’ Lieto, the Yankees’ Peter Lieto, and the Brewers’ Cepeda—managed only 41 each. Jose Lizama Jr. came in at third with his 37, followed by Titanium’s Joe Palacios (35), A.J. Lizama (29), Tudela (27), and the Brewers’ Lancaster Secharmidal (26). Muna’s teammate—Lamarc Iguel—had four triples to lead the league and tie the Brewers’ Nokki Saralu. Lamarc also will also share the home run king trophy with Saralu and the Bears’ Peyton Lizama as the three players were the only ones to round out the base this season. Lamarc’s older brother, Juan, is alone at the top of the runs leaderboard, collecting 24. Juan defeated A.J. Lizama (22), the North Starz’s Roke Tenorio (22), Peyton Lizama (21), and Anthony Tenorio (21). In the doubles, Saralu is also the solo winner with his 6. Jose Lizama Jr. A.J. Lizama, Titanium’s Brian Camacho, the Yankees’ Peter Tomokane, and Alepuyo had 5 each. Meanwhile, the BSI Aces were the lucky winners of a semis berth in the eight-team league. The BSI Aces won the bye among the three tied squads for the No. third to fifth spot in the team standings. 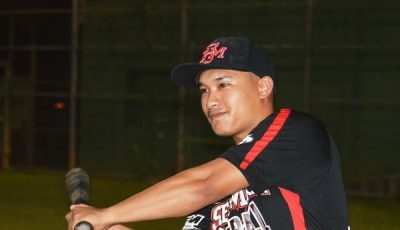 Titanium, which won via forfeiture (not enough players) against the Yankees last Wednesday night, the Falcons, and the BSI Aces finished the regular season with similar 8-6 records. A draw (not the head-to-head record as earlier decided) was held to break the deadlock and the BSI Aces won the bye, leaving Titanium and the Falcons to battle for the fourth and final semis berth last night. The Aces, though assured of a spot to the Final Four, still have to play the winner of the Titanium-Falcons game today to determine the No. 3 and 4 teams in the rankings. 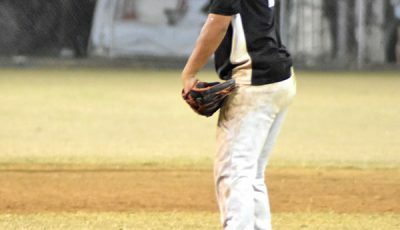 The fourth-seeded team will face the unbeaten Bears in a best-of-three semis series beginning this Monday, while the third-ranked squad will take on defending champions GSM Brewers (11-3) in a separate Final Four series, beginning on Tuesday.